We have been a big fan of the Men's Yukon for a number of years and now at last it's available in KIDS!! The Yukon provides you will all the comfort of the Croslite material sole with leather uppers and a turbo strap for that extra secure fit. 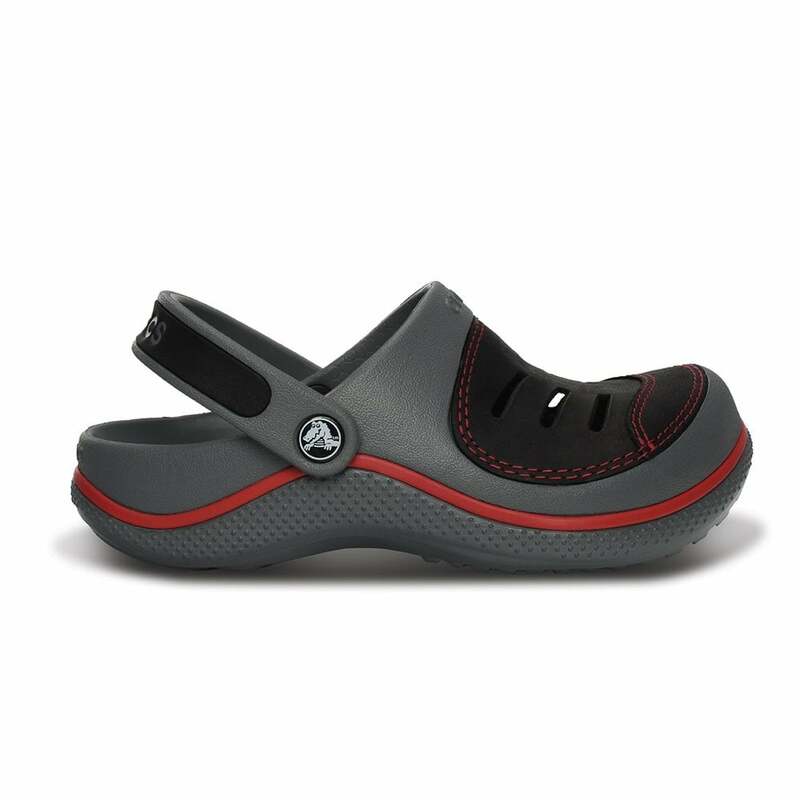 The tread on the base of the shoe is robust, ideal for trickier terrain, the inner sole has the massaging nubs which Crocs are now famous for, these increase your circulation, resulting a healthy blood flow around your feet and legs, which then in turn will aid fatigue or aching feet and legs. The Yukon from crocs is a lightweight, versatile footwear choice, great for holidays, leisure wear or everyday wear. The Crosslite material that Crocs are made from is anti bacterial and washable, the sole of the shoe is non slip and non marking. Available in a selection of great colour combinations, suitable for all tastes, these shoes look as good as they feel! 'Yukon' hardly believe how great these shoes are! Good quality, clogs. Our son loves them. Great inside and out especially and he has hot feet. Lovely these crocs, fit beautifully and stylish. My grandson very happy with them.